DJ Thompson sitting at Leeds county court has issued a General Form of Judgment which will lead to another DEAL case being struck out on 4 March. 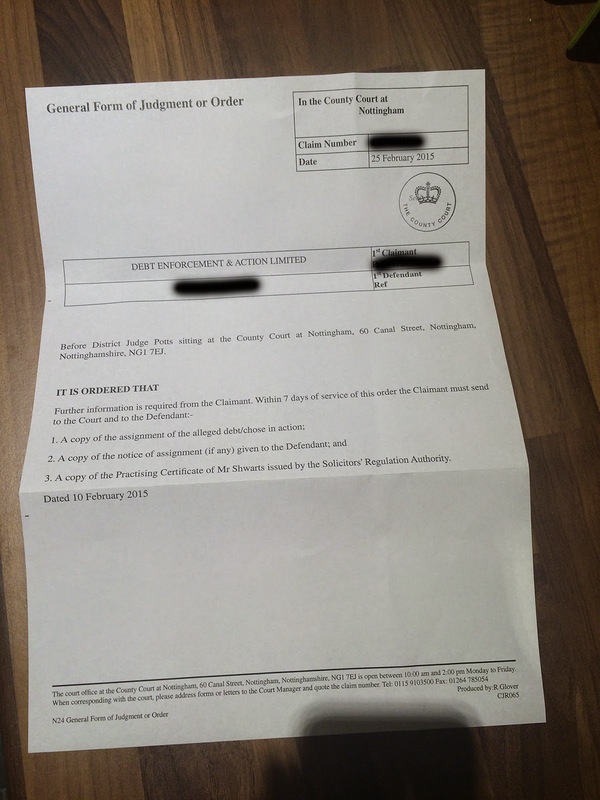 The order requires full details of the solicitor who signed the form. As there is no solicitor who goes by the name M Shwarts, this will be an impossibility, and The Prankster confidently predicts the claim will be struck out. DEAL were ordered to produce evidence that Mr Shwarts was on the Roll of Solicitors by 18th February by DJ Jones in Warwick. They didn't, so the case was struck out on 25th February. 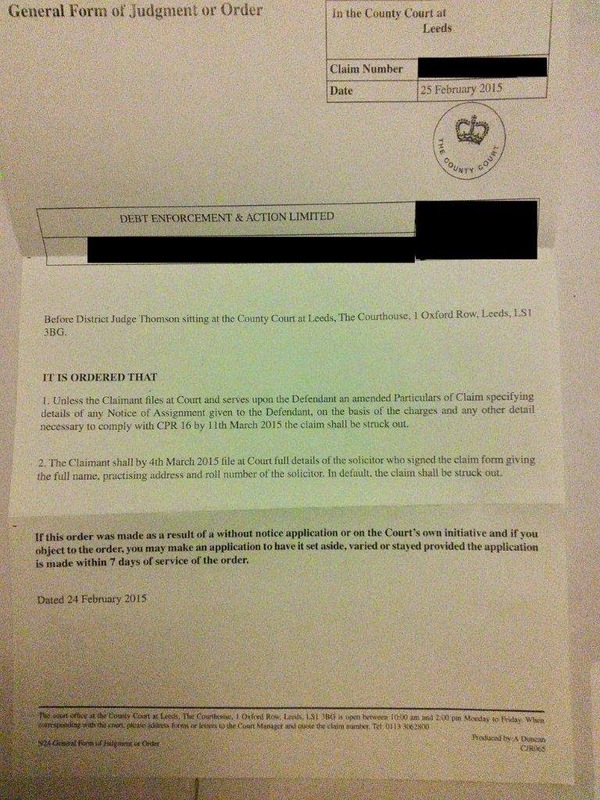 The courts have started to take the initiative in striking out Deal Claims, as this Court Order from pepipoo shows. DEAL have until 4th March to find a Practising Certificate for Mr Shwarts, which is going to be difficult as he doesn't exist, so the claim is effectively struck out. The copy of the 'assignment of the alleged debt' will be interesting to see too. District Judge Potts seems well informed on the easiest way to clear out claims which should never have been brought in the first stage. Hopefully the next step will be to bar DEAL and CEL from bringing claims in the first place. According to Valiant on pepipoo an unspecified number of Proserve cases have been struck out because Proserve failed to obey the procedure specified by a court order. Proserve will not suffer because of this. Proserve take photos of vehicles for which they charge Ransomes Park Ltd around £150-£250. 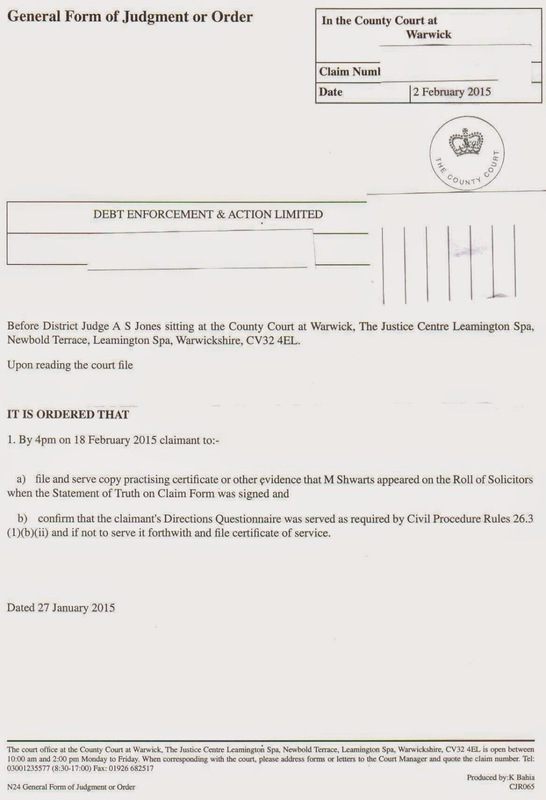 They then attempt to reclaim that money for Ransomes by filing court claims. Ransomes will therefore be out of pocket by £150-£250 per claim, plus the costs of filing the claims - £25 plus £50 solicitor fee each. One wonders if the Ransomes CFO is having some painful conversations this week. 11 counts under the consumer contract regulations. This is an initial hearing which CEL are unlikely to attend. However the Procurator Fiscal has indicated that if they do not attend, warrants will be issued for the arrest and detention of directors so that they can be brought before the court. It might well be hard to find an actual director of CEL, what with a dormant shell company and a South African hired name as apparent straw man. The Prankster suggests getting in touch with Ashley Cohen and Gary Wayne to see if they know of the real people in charge. They don't muck about in Scotland! CEL have been abusing the English court system for years, and despite numerous complaints have been getting away with it. They dipped a toe over the border and now are well and truly in the system. For some reason a lot of people were interested in The Prankster blog yesterday. A lot of hits were received on the keyword 'Beavis'. 'Patrick Troy' received no hits, despite his sterling efforts to dominate the media over the past few days. The 1,000,000th pageview is still a few months away though. The courtroom was full to overflowing for the hearing, with representatives from Parking Companies such as Park Direct and Euro Car parks; debt recovery companies such as Debt Recovery Plus, ATAs such as the Independent Parking Committee, and of course representatives from motoring organisations such as the BMPA, NMAG, NoToMob, pepipoo and MSE. Adding to this were the legal teams. Barry Beavis was represented by Sa'ad Hossain QC and members of his chambers, ably assisted by Davis Carrod and Andy Foster. ParkingEye had Jonathan Kirk QC to represent them, with David Altaras and Rachel Ledson sitting behind to open folders and find the right pages. Alex Cooke and other employees of ParkingEye were also present. The Consumer Association had three representatives. The three judges kicked off proceedings at 11, Lord Justice Moore-Bick took the centre seat with Lord Justice Patten on the left and Sir Timothy Lloyd on the right. Lord Justice Moore-Bick expressed the opinion that it would be chaos if ParkingEye were not able to enforce parking regulations, but nobody took the opportunity to point out that many other parking companies, with enforceable charges in the region of £20-£30, could have successfully managed that car park as they do many others all around the country. Lord Justice Moore-Bick also fancied that he might like to reinterpret ParkingEye's contract with the landowner so that they were agent and not principal, but the contract was written in illegibly small blue on white writing, and could not be read. Lord Justice Moore-Bick also fancied their might not be a contract with the motorist at all, but a licence to park. This was Andy Foster's argument in the previous hearing, but was dismissed by HHJ Moloney. Lord Justice Moore-Bick expressed the opinion that it was in the interests of the landowner and retailers that a 2 hour limit be observed. No one took the trouble to point out that is was not proven that the landowner was happy with the arrangement. Many other landowners, such as Somerfield, B&Q and Northumbria Health Trust have kicked out ParkingEye because of their aggressive ticketing policies. Other landowners may want to kick out ParkingEye but are too scared because of the penalty clauses in their contract, such as the one ParkingEye enforced on Somerfield. Retailers at Riverside retail park are apparently unhappy with ParkingEye because ParkingEye decreased the parking time from 3 hours to 2 hours so they could keep up their enforcement revenue, and the retailers have not reported seeing any benefit from this cut in time. Lord Justice Moore-Bick expressed the opinion that if ParkingEye were not allowed to manage the car park then disabled motorists would be seriously disadvantaged by able-bodied motorists pinching their spot. At this point The Prankster could take no more and scribbled stuff on his pad ready to make a paper aeroplane and throw it at Mr Hossain. Luckily Mr Carrod beat him to it, and as he was sat considerably closer was able to pass it to Mr Hossain, who was then able to inform the court that ParkingEye did not stop motorists abusing disabled spots. They were purely involved in traffic management which was dome by cameras at the entrance and exit, and which did not monitor disabled spots. There then followed a long and detailed trail through the authorities on penalties. Sir Timothy Lloyd looked to be asleep, but of course this could not be correct as The Prankster was a long way back and Sir Timothy must just have been concentrating with his eyes closed. At the lunch break The Prankster was worried that Mr Hossain has lost the judges and that they were more concerned with parking becoming unenforceable that the legal arguments. This could have been easily addressed in The Prankster's opinion. After lunch Patrick Troy of the BPA rocked up. The courtroom was full so first he tried to sit in ParkingEye's seats, but was politely moved on as he was not involved with the case. The only other seat was by Will Hurley from the IPC, so with an uneasy look Mr Troy settled in beside his arch rival. Mr Kirk did not appear to fare much better than Mr Hossain once the afternoon session started. The judges were not always convinced by Mr Kirk's interpretation of the key references. Crucially, they could not understand where ParkingEye's losses were. If the landowner managed the car park, the losses would be obvious. Similarly, if ParkingEye restructured the contract so that there were penalties to them for overstays, that would also work. But with the current contract (which had been reprinted on A4 at lunch time) no loss to ParkingEye could be identified. The Judges did not seem too impressed by this argument and asked if there was any evidence at all that the landowner would cancel the contract. At this point Mr Kirk accidentally called the charges penalties, which led to laughter all round and murmurs of 'own goal', and he then struggled to find any justification at all. The judges eventually called a halt to proceedings without the Consumer Association being required to talk at all. Judgment was promised at an unspecified time in the future. There was no real indication what the judges would decide, and The Prankster thought it could go either way. The defendant's team failed to address the issue that parking would descend into chaos, while the claimant's team failed to establish any loss had occurred. It is possible that whatever the judgment is, it will not clear up the situation. Several options were mentioned during the hearing which could allow ParkingEye to change their business model in the future. On the other hand, the judgment may only turn out to be applicable to the very few free car parks where ParkingEye pay £1,000 a week to the landowner. A thread on peipoo reveals that judges are starting to get tired of DEAL's antics. I believe that the claim against me is about to be struck out. I received a General Form of Order from the District Judge dated 12 February 2015 requesting further information from DEAL within 7 days of the service of the Order. I today telephoned the Court who informed me that they have not received this further information and that DEAL are not answering their telephone calls. The Court stated that they have a number of similar claims from DEAL and the District Judge would make a General Form of Judgement by the end of this week. I will update my thread as soon as this is received. I will also update what further information was required from DEAL at the same time. This could mean the end of DEAL cases in that area of the country. Once the General Form of Judgement is available it can, if appropriate, be filed with cases in different parts of the country. This may well result in the wholesale collapse of all cases currently in progress. As Gary Wayne apparently told the Solicitor's Regulator Authority that DEL and Civil Enforcement Limited are linked, this may also lead to the collapse of CEL cases. Motorists who have already paid might as well sign up to http://www.challengethefine.com/, although if DEAL ceases to exist they may have to go after the original landowner instead. ParkingEye v Beavis - what's it all about? Before the Protection of Freedoms Act 2012, schedule 4 came into force on 1st October 2012 there was no independent appeals process in the parking industry. This meant that in the main, appeals to parking companies were routinely turned down, and the parking companies could charge what they liked. The BPA is not able to establish a defacto ‘cap’ for PENs, which must always be a ‘genuine preestimation of losses incurred as a result of breach of contract’. The parking companies accepted the new £100 cap, but immediately came unstuck once the new independent appeals service, POPLA, came into force. The huge problem was that across the industry, the average cost to the parking company per ticket issued was, and is, around £20. The cost of a ticket which is paid up immediately is even lower - around £5. This meant that POPLA routinely rejected all parking tickets if the charge level was queried, because a charge of 5 times the amount lost is not allowed under the laws of the country. To keep some control of the situation, the British Parking Association banned POPLA from putting this as a reason to appeal on the POPLA website, because this would mean almost all parking charges would be cancelled. Instead, they required motorists to do some research, and to specifically query that the charge was not 'a genuine pre-estimate of loss' rather than just stating the charge was too high. They also required each individual motorist to raise the point, so that even if a charge was found to be too high and therefore breaching the British Parking Association code of practice, future appeals for the same operator and car park would still not be allowed unless they uttered the magic words. The Government required POPLA to report all breaches of the code of practice back to the British Parking Association. However, this would have caused huge numbers of referrals leading to all the parking operators to be banned, so this requirement was quietly shelved. This left companies like ParkingEye in something of a dilemma. They wanted to keep their charges at £100 and not drop them to £20, but to do so they needed some way to come up with a figure of £100 for their losses. Of course, the correct way to do this would first be to estimate the losses, and then set the parking charge to that amount. Doing thing the other way round left ParkingEye with an insurmountable problem, because, as we will see later, their allowable losses are at most £20, and probably a lot less. Their first attempt was to state the loss was the average loss to the shops on site caused by loss of a space. ParkingEye operate the car park for and on behalf of the landowners. The amount charged represents an average loss to the Rheidol Retail Park applicable to the use of the car parking facility for longer than the allotted period. To put in economic terms, there are diminishing marginal returns, beyond the free fixed stay period which beget increasing marginal costs. Costs may include the cost of upkeep of the parking area, business rates, insurance, health and safety assessment and the car park management (provided by ParkingEye).The time limit set is based on the use profile of the average user (e.g. the purpose of the visit, how long they stay, how much they spend with the retailers) and time limits and the Parking Charges are calculated to provide a free tariff at the point of use of the service for those abiding by the terms and conditions of parking. Where motorists use the car park for more than the allotted free stay, there is often nil or minimal spending at the retail outlets, (e.g. where the motorist parks and leaves the site, using it as a free park and ride or free parking for accessing other amenities, not connected to the retail park), meaning there is a significant shortfall and costs outweigh the marginal return, hence the motorist must supplement this by payment of a Parking Charge. If the driver has spent money in the retail outlets at the site, they may qualify under the genuine shopper exemption operated by the landowner. Ironically, this was ParkingEye's only ever genuine attempt at a pre-estimate of loss. As they collect parking charges on behalf of the landowner, it is the landowner's loss which is important, not ParkingEye's. However, it was a complete failure because losses would not occur unless trhe car park was full, even if it was,they would not approach £100. And finally, losses to retailers are not losses to landowners. Their next attempt was to state their average cost per ticket was £57. Sometimes they stated it was £53. (Sometimes they stated both in the same case). The document evolved over time and eventually became a 6 page filibuster, which was mostly misdirection and irrelevant, as well as containing a significant number of lies, misinformation and partial information quoted out of context. There were only 2 paragraphs of real significance amongst the rainforest. We have calculated the outstanding Parking Charge amount as a genuine pre-estimate of loss as we incur significant costs in managing this car park to ensure motorists comply with the stated terms and conditions and to follow up any breaches of these. These costs include (but are not restricted to); Erection and maintenance of the site signage, installation, monitoring and maintenance of the Automatic Number Plate Recognition systems, employment of office-based administrative staff, membership and other fees required to manage the business effectively including those paid to the BPA, DVLA and ICO, general costs including stationery, postage etc. This was no better. Most of these costs are general running costs of the business and therefore not allowable costs as they are not caused by the breach. However, the real point of the 6 page document was to misdirect the judge away from the fundamental issue that the charges were collected on behalf of the landowner, and therefore it is the landowner's loss which is significant. To get away with this, ParkingEye had to redact large areas of the contracts they showed to judges, so they would not become aware of this. Of course, the misdirection also tries to stop the judge wondering why, if the loss is £53, the required payment is almost double that, or £100. However, the figures contain a fundamental lie. Following the above invitation, ParkingEye's 'publicly available' accounts were obtained; a freedom of information request was also made on the DVLA to find out how many tickets ParkingEye issued during their accounting period. This showed the average cost per ticket issued was somewhat under £20, not the £53 claimed. This is of course in line with the industry average of around £20, calculated by analysing POPLA evidence packs. Caught out in the lie, ParkingEye tried to bluster their way through and finally admitted that the average was not for all tickets issued, but only for all tickets paid. This of course meant that they were expecting motorists to pay for other motorists. The £100 covered the £20 from your ticket, but also 4 more £20s from motorists who had not paid up. This goes against conventional legal wisdom - the person causing a breach only has to pay for the costs caused by their breach, and not the costs of other transgressors. ParkingEye were now stuck between a rock and a hard place. Their costs could not be justified by current interpretation of the law, so they needed that interpretation to change. Enter Mr Beavis. Mr Beavis unwisely ignored the letters from ParkingEye (the charge would have been cancelled by POPLA) and ParkingEye eventually filed a claim - one of the 1,000 to 2,000 they file on a weekly basis. The first hearing was adjourned because not enough time was allowed. A senior judge then took over the case*. 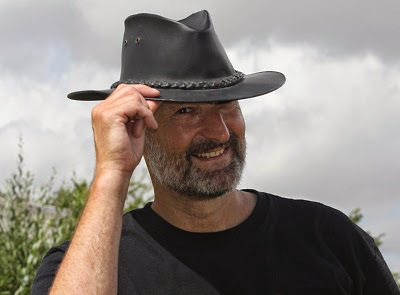 ParkingEye cases were clogging up his courts, and, according to him, he wanted some way to automatically strike out defences and award claims to ParkingEye so that hearings did not need to take place. The second hearing was adjourned due to a well-documented hoax phone call. In the third hearing, ParkingEye wheeled out one of the top lawyers in the country, Jonathan Kirk QC, and his sidekick, David Altaras. Although ParkingEye had lied to judges up and down the length of the country, Mr Kirk was not about to compromise his career by doing the same and lying that the cost per ticket was £53. He did not challenge the defence figures that the cost per ticket issued was under £20, and came up with a different argument. ParkingEye's loss was £85 because that was the charge to the motorist. If the motorist did not pay then ParkingEye would get sacked by the landowner, thus losing the right to charge £85. Therefore, they would lose £85. Something else was therefore needed. Mr Kirk argued that the higher figures were needed to deter motorists and that there was therefore commercial justification for charging this amount. The trouble with this argument is that all higher case law went against this. In higher case law 'commercial justification' had never before applied to consumer contracts, and contracts imposed without the change of negotiation. Only in contacts which had actually been negotiated between parties of equal powers and with legal representation was commercial justification allowed. In all higher case law, commercial justification was explicitly disallowed for the purposes of deterrence. In all higher case law, commercial justification only applied to a small part of the figure, and was not used to inflate it by 400-500%. Additionally, no evidence was put forward to justify that the figure needed to be as high as £85 to achieve deterrence. Other car parks around the country work perfectly well when the figure is between £20 and £30. HHJ Moloney himself admitted he was troubled with his decision. Barry Beavis, chip shop owner with a free lay representative to help, had faced two top lawyers, money no object. In his judgment HHJ Moloney explicitly stated that had there been a level playing field for legal representation, the verdict may have gone otherwise. This brings us to the Court of Appeal Hearing due to be heard tomorrow. Mr Beavis now has substantially bigger guns on his side, with one of the country's other top lawyers acting for him, Sa'ad Hossain QC. The Consumer Association (Which) have also chipped in. They are worried because if the interpretation of the law was to change so radically it would open the door for any business to charge what it liked for penalties simply by structuring itself in a way that depended on the penalty income. It will be interesting to see what the actual legal arguments put forward on the day turn out to be. Whatever way the result goes, the way car parks in this country are managed is due to change fundamentally. It will either be a free-for-all feeding frenzy by the operators, or car parks will have to be managed in a way beneficial to all parties, with charges at a fair level, and contracts which encourage fleecing the motorist and adopting dodgy tactics outlawed. The Prankster has previously published a list of the dodgy tactics used by ParkingEye. The Prankster believes these tactics are a direct result of ParkingEye only taking money if a breach of contract occurs. * The original hearing by HHJ Moloney was ParkingEye v Beavis and Wardley. However, Mr Wardley decided not to appeal. It appears that Armtrac have a free pass to ignore the BPA code of practice, a privilege normally only reserved for Civil Enforcement Ltd. Yet again Armtrac have sent a rejection letter which arrives shortly before the POPLA code has expired, preventing the motorist from appealing. 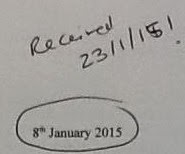 The letter was date 8th January, but postmarked 21st January and received on 23 January. The POPLA code it contained expired on 5th February, giving the motorist only 13 days which is less than half the required 28. The Prankster wonders when something will be done to curb Armtrac and do something about this deceptive practice. 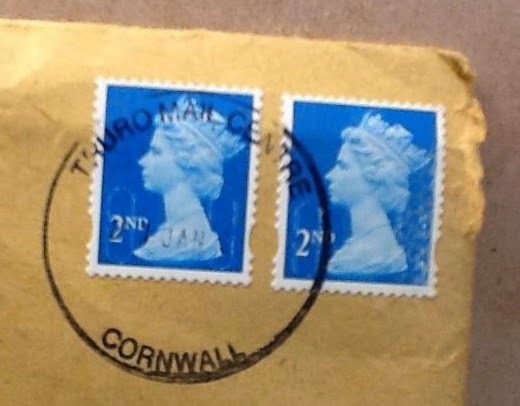 How many times are we supposed to believe there is a problem with the postal service at the Truro Mail Center in Cornwall? Godaddy did something to the back end website builder which broke all the navigation on my website. They acknowledge it was something they did, but refused to fix it. They explained how I could take a couple of hours fixing it myself. I asked them for a refund to take into account my time and effort fixing the problem they called, but they refused. I guess I will be looking for some new hosting soon! Meanwhile, all the changes I need to make are on hold and I have had to revert to a previous backup. With the ParkingEye v Beavis appeal imminent, ParkingEye continue to scam motorists using the car park at the Riverside Retail Park, Chelmsford. The Prankster is currently helping a motorist who got caught in a queue at the car park one weekend. The car park is admittedly busy, but what it needs is actual car park management, rather than spy cameras raking it in for ParkingEye's benefit. The motorist took 20 minutes to find a space on arriving and 20 minutes to queue up and leave the car park on exiting. A few days later they received an invoice for £85 for overstaying by 20 minutes. The motorist appealed, fully expecting the ticket to be cancelled but the ParkingEye appeals team had other ideas and refused to cancel. After all, they need to make £1,000 a week from motorists at that car park just to break even, so need to bend the rules. The Prankster is now helping with a POPLA appeal and confidently expects to get the charge cancelled. Other motorists who were caught in the same queue may not be so lucky. Retailers at the park were canvassed and are fed up with ParkingEye's antics which costs the retailers money and causes them problems. Things got even worse when, in order to make even more money from charges, ParkingEye reduced the parking time available. Looking to the future, if the appeal is won by ParkingEye we can expect them to ramp up their dodgy practices and really make hay. The Prankster has identified the following bad practices and dodgy tactics used by ParkingEye. Here is a reminder. Using the Protection of Freedom Act to pursue keepers to court when they knew the land was not covered by the Act. Filing huge, complicated documents in court, in violation of the prime objectives of the courts in terms of proportionality to the sums involved. A typical filing will be over 50 pages with 30 or more case references. Ploughing on regardless with court cases, despite having lost all known similarly defended cases, causing defendants distress and expense. This list is not exhaustive, even if it is exhausting. Finally it is of course a matter of record that the second hearing in ParkingEye v Beavis was called off because of a hoax phone call to their counsel, David Altaras. This delay enabled ParkingEye to get the counsel they really wanted, Jonathan Kirk. HHJ Moloney stated that the hoax phone caller had intimate knowledge of the case and was able to fool David Altaras that he was ParkingEye's witness, Alex Cooke. We can only speculate who made the hoax phone call. Only a few people knew that Alex Cooke was a witness, and even fewer know what his voice sounds like. However it has been reported that police traced the phone used to make the call and arrested two people. These people were released without charge following sterling work by members of Jonathan Kirk's chambers. Channel 4 Dispatches tonight revealed that the Consumer Association (also known as Which) are joining in the ParkingEye v Beavis case on the side of the defendant, Barry Beavis. The case is due to be heard in the court of appeal next week. ParkingEye want a change in the interpretation of the law so that they can charge arbitrary penalty amounts for breach of contact. As the law currently stands, the remedy for breach of contract is to make good any loss. ParkingEye's average cost per ticket issued was established in the initial case to be around £18. However, they want to be able to charge an arbitrary amount of £85 (and £100 in some car parks), giving them a profit of £67 or more. The Consumer Association are worried that if the interpretation of the law changes in this way this would open the floodgates for all consumer industries to charge what they liked for breach of contract. The simplest way would be to create service companies to act on their behalf to issue charges for breach of contract. These service companies could then inflate charges to arbitrary levels (in the same way ParkingEye do) and charge as much as they like. Parking management is necessary and there are sound business models used by some parking companies, such as where they charge a management fee or take a share of the parking revenue. A change in the law is therefore not needed; parking companies can adopt these legitimate business models. The problem arises in the way some parking companies structure their business. Companies like ParkingEye get their sole revenue for issuing tickets for breach of contract, and this encourages them to find creative ways to make motorists fall foul of the rules, such as providing poor signage, or inventing complex parking rules it is easy to trip up on. This can often be seen at hospitals. ParkingEye have invented a scheme which requires the motorist to guess how long they have parked for, and to enter their registration correctly. This is despite other companies offering technology which informs the motorist what the charge is without requiring guesswork, and which does not allow an incorrect number to be entered. Enough people fall foul of these rules to net ParkingEye millions of pounds a year at hospitals, as an FoI request on Northumbria NHS showed. On the dispatches program, Patrick Troy, chief executive of the BPA said this about hospital parking. The incentivisation of operators to issue tickets is wrong. That shouldn't happen.[...] If you find evidence of that then please let us have that, because we need to investigate. The Prankster has already got in touch with the BPA and offered to tell them all about their largest member, ParkingEye. However, as the BPA recently investigated one hospital ParkingEye were operating at and failed to notice anything wrong, and in fact commended them on following government guidelines, it is possible that Patrick Troy is pulling the wool over Dispatches eyes, and has no serious intention of doing anything about the abuse. Dispatches goes undercover to investigate the private companies issuing more than 2.5 million parking tickets a year. Secrets of the Parking Wardens. Wherever you park they are waiting to pounce. Whether you're out to do some shopping or grabbing a burger, catching a train or visiting a hospital, the private parking industry is watching how you park. Thanks to new camera technology and a change in the law, it's an industry that is booming. Since 2007 the number of parking tickets issued by private companies has grown five-fold to more than 2.5 million a year. But as the parking firms rake in the money, complaints against the industry have soared. Dispatches goes undercover to investigate the secrets of this new parking scandal. 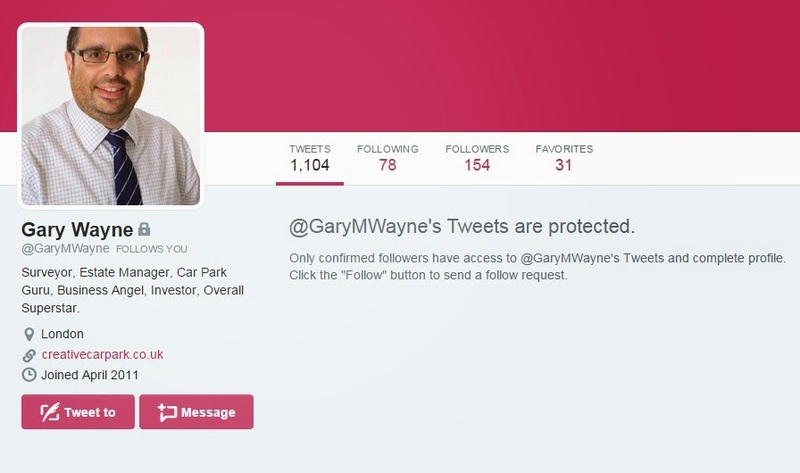 Gary Wayne, of Civil Enforcement, Creative, and a possible host of other companies, has recently protected his tweets. The self-appointed Car Park Guru and Overall Superstar will no longer be imparting his wisdom to the hoi polloi, but will only be tweeting to his 154 followers. 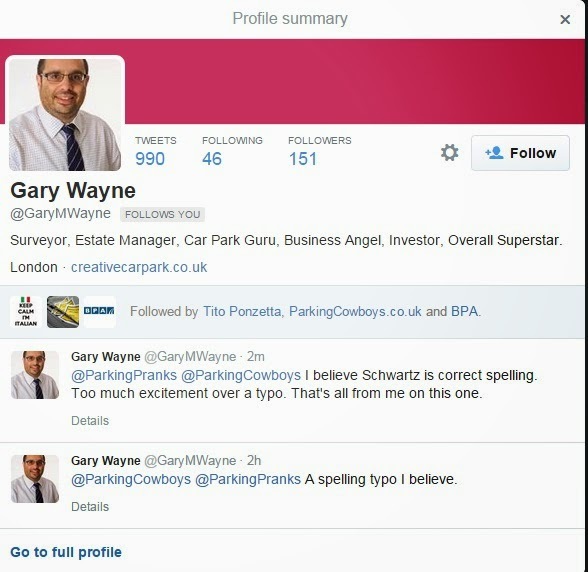 The last tweet The Prankster has on record was regarding the mysterious Mr Shwartz. No doubt we will all be finding out on 12 February whether Mr Schwarts is a real person, and if so, why he failed to spot the typo hundreds of times while signing his name. The Parking Prankster has learned of a worrying case where Civil Enforcement Limited forged the evidence sent to POPLA. In particular, the actual refusal letter sent to the motorist was different to the refusal letter filed as POPLA evidence. Here is the letter as actually received by the motorist. The motorist was visiting a hotel, and not a Lido, so the doctored letter, although still only semi-literate, makes it seem as though CEL actually considered the motorist's appeal rather than sending out a template response. For the record, the motorist won the POPLA appeal, although POPLA were silent on the matter of doctored evidence. The Prankster can think of no valid reason why the wrong evidence was sent to POPLA. If this was deliberate, then it is worrying that parking companies think they can doctor evidence to put themselves in a better light. If this is accidental, (and the Prankster cannot think of a scenario where this mistake could accidentally happen) then the validity of all evidence ever submitted by this company both to POPLA and the courts must be called into question. The Prankster would like to advise Civil Enforcement Limited that it is in their best interests to leave the British Parking Association and join the Independent Parking Committee. The IPC run a 'kangaroo court' style of appeals service where the motorist never gets to see the parking company evidence. This transgression would never have come to light in the IPC, and CEL could continue to submit whatever rubbish they like as evidence. Even better, CEL could submit no evidence at all as on current results, the IPC assessors always believe whatever the parking company says. The Prankster considers that CEL would have won the appeal had the IPC considered it. This thread in pepipoo documents yet another case where Civil Enforcement Limited failed to turn up in court. In court this morning, as predicated CEL didn't turn up. Judge said that the case was dismissed and even if they had attended, after he had read all the notes, I would have won the case. He told me I could apply for costs, l had these typed up and ready amounting to £143. No questions asked, awarded immediately. There were several CEL cases today; one each in Derby and Haverford West and two in Halifax, so today's no shows may well have cost CEL £600. Of course, this is small beer to them; they rely on scaring the defendant into paying up. In Bristol court it was stated they were filing cases at the rate of 200 a week. If there are only 4 hearings a day (20 a week) then this means the other 180 cases paid up £130 (excluding court fees). CEL will have taken in £23,400 for an outlay of around £3,000 - an excellent return on investment. The statement of case of the claimant is struck out as it fails to disclose any facts to establish a cause of action and fails to comply with PD16.7.3. Unless the claimant files:a) amended particulars, and b) an amended claim form which contains the name of the firm at which Mr Shwarts practises by 4pm on 12th Feb 2015, the claim will be struck out." As Mr Shwarts does not exist, DEAL will find it particularly difficult to comply with requirement b. The Prankster expects the claim to be struck out on the 12 February.